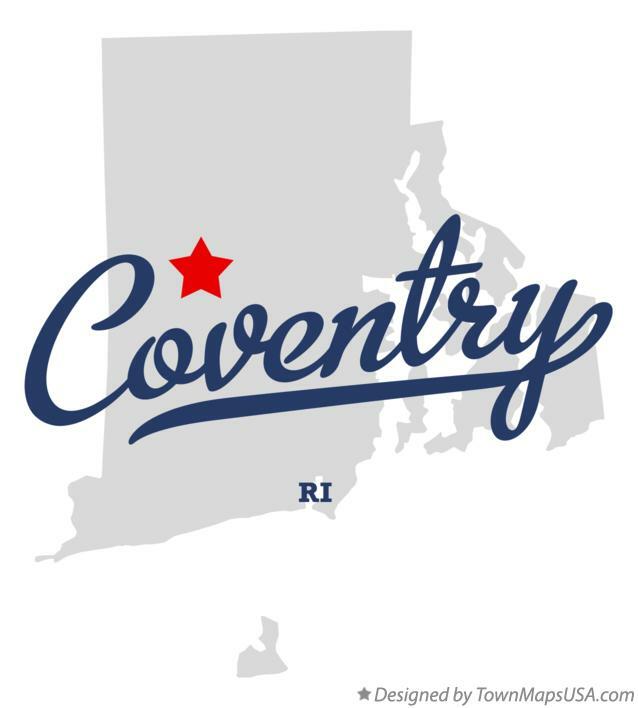 Coventry is a town in Kent County, Rhode Island, United States. The population was 35,014 at the 2010 census. According to the United States Census Bureau, the town has a total area of 62.3 sq mi (161 km2). 59.5 sq mi (154 km2) of it is land and 2.8 sq mi (7.3 km2) of it (4.49%) is water. The town is bordered by West Warwick to the east, Foster, Scituate, and Cranston to the north, West Greenwich and East Greenwich to the south, and Sterling, Connecticut to the west. It is the largest town in land area in Rhode Island, being surpassed in total area only by South Kingstown, Rhode Island, with water and land area of 79.8 square miles (207 km2).